It’s very common, especially in St. Louis, for older brick homes to have black stains on the bricks/brickwork around their home. These black stains can be anywhere on the wall and will vary in darkness or shades of black. These black stains are carbon stains from pollution in the air. Saint Louis was once a much larger Coal consuming city and with this, car pollution, and the constant burning of fireplaces, brick over time will accrue black stains. 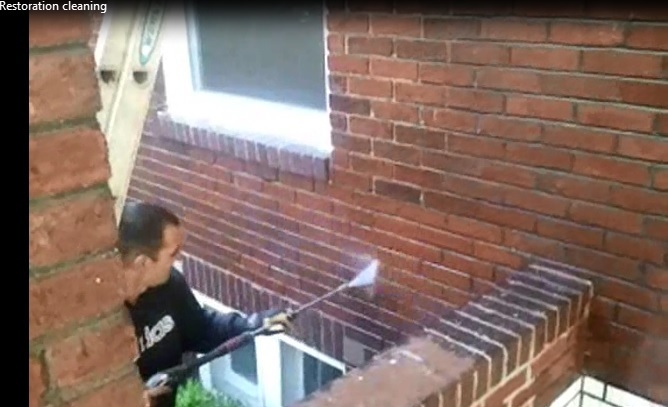 How are the Stains Removed from brick and tuckpointing work? These stains can be removed with a chemical called Restoration Cleaner. The Restoration Cleaner is diluted with water, brushed or scrubbed on the building (depending on the severity) and allowed to set for approximately 5 minutes. Next it will be power washed off with a pressure washer and most or all of the stains will have disappeared. 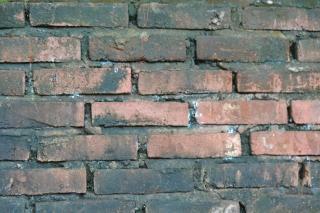 This process is typically done before the whole wall is tuckpointed to prevent damage to the new mortar joints. If you have any additional questions about this topic, please give us a call or email, we would be glad to help. Posted in Brick, Block & Stone Restoration & Cleaning, St. Louis Tuckpointing & Brick Repair and tagged Brick, Chimney, Cleaning, repair, Restoration, tuckpointing on January 30, 2013 by Jacob Thompson.